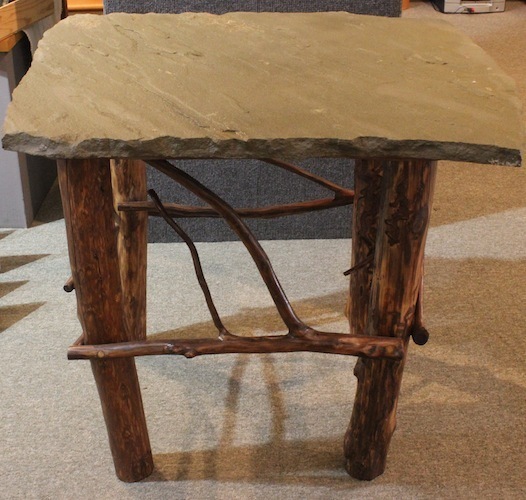 Mark finds particular pleasure in making tables and benches that combine the elements of stone and wood. 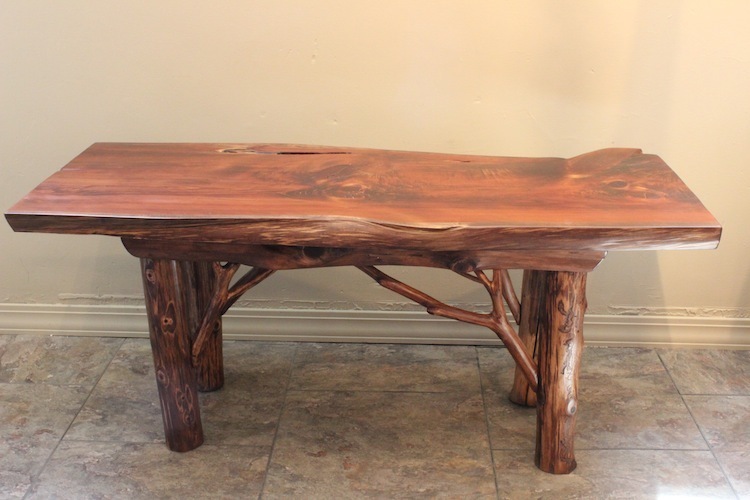 In his earlier work, Mark attached great slabs of Colorado sandstone to aged cedar or driftwood bases. 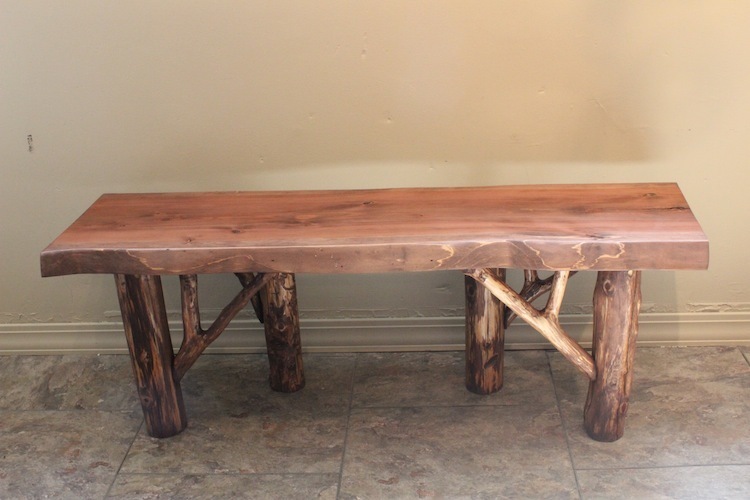 There was a middle period when he worked extensively with recycled heart pine and barn wood. 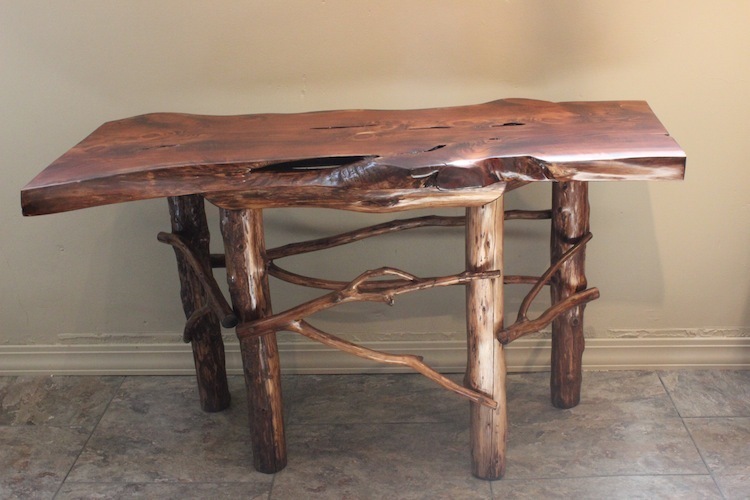 More recently he has developed a technique for incorporating a poured cement-like mixture into the routed surfaces of tables, integrating leaf, fern and other woodland floral impressions into the tabletops. 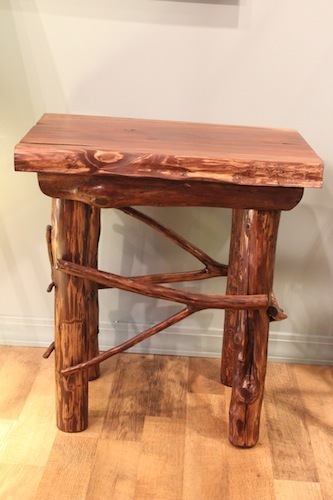 With the newest work, the color palette gently brings to life nature’s earth tones and gem colors. The stone and stone-like surfaces are always sealed to protect against condensation from drinking glasses.